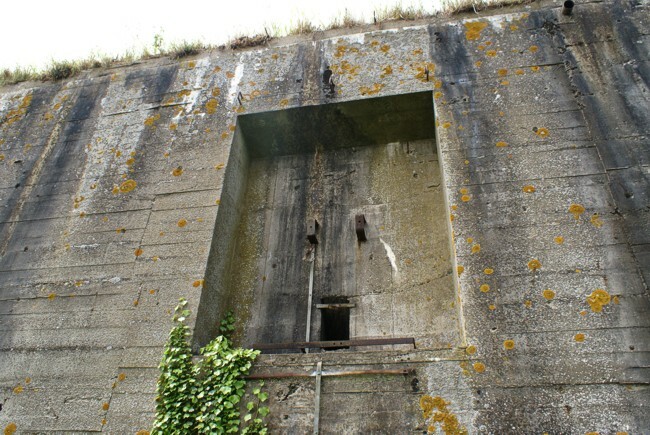 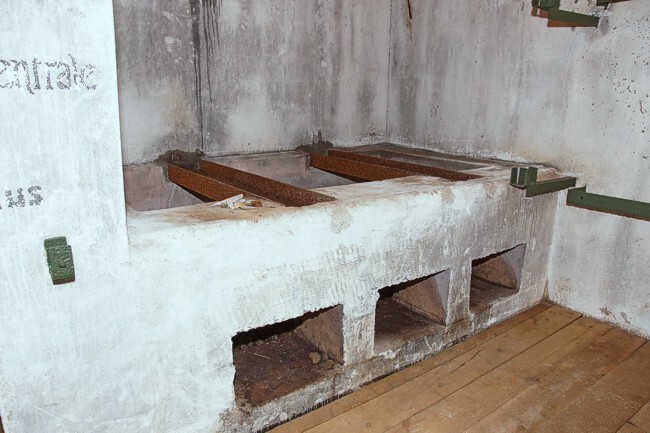 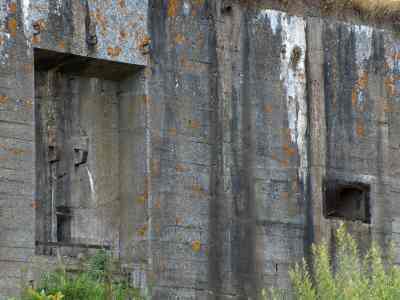 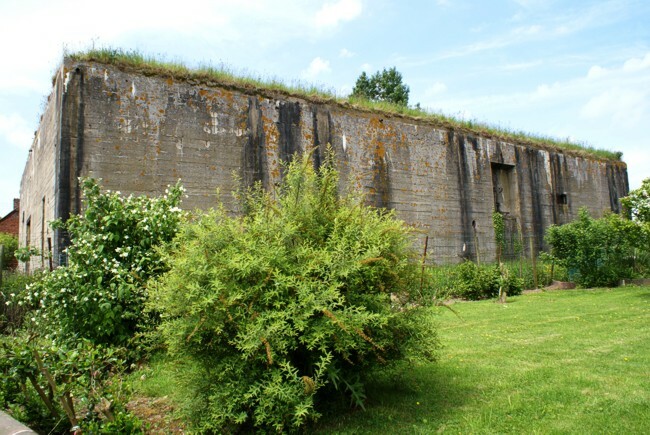 This bunker was built for housing radioguidance equipment for directing the V2 rockets that were launched nearby at Wizernes. 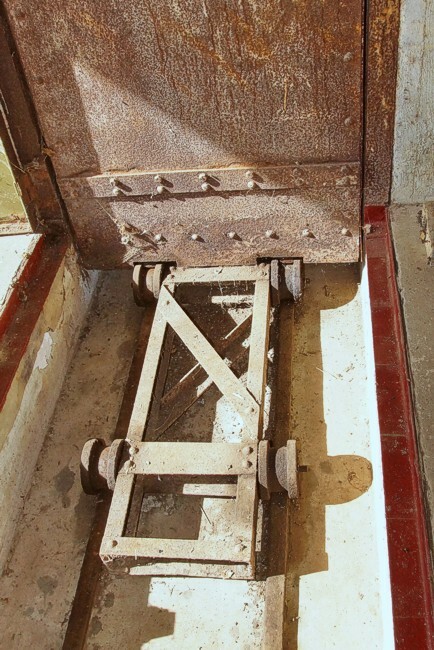 The antenna mountings in detail. 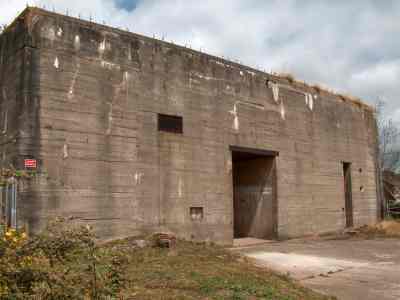 In 2017 Henk Adriaanse had the opportunity to visit the bunker. 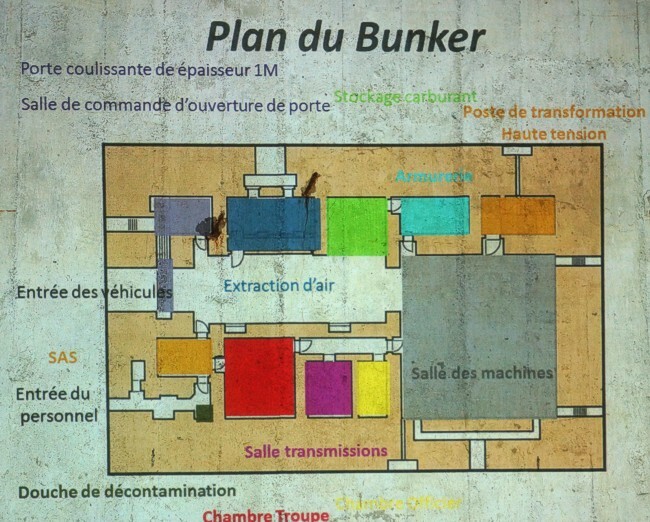 The plan of the bunkers and the functions of the rooms. 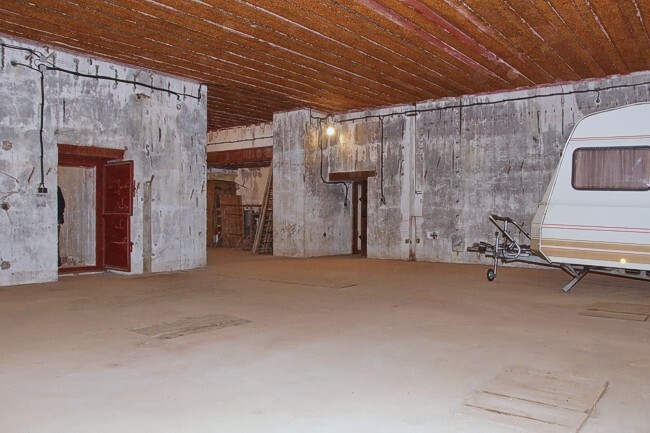 The major big room has a width door for bringing in vehicles. 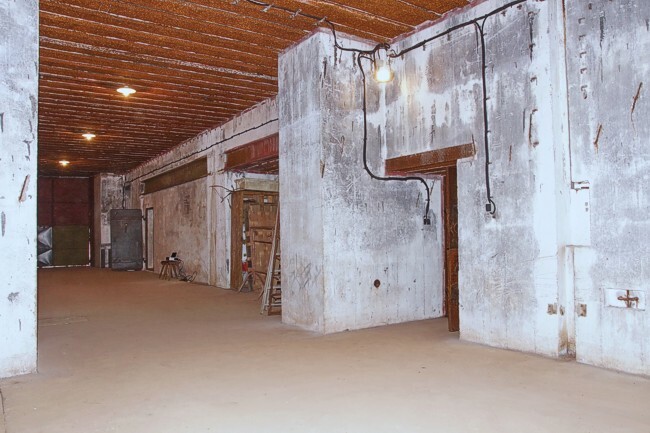 Room for the power transformer.